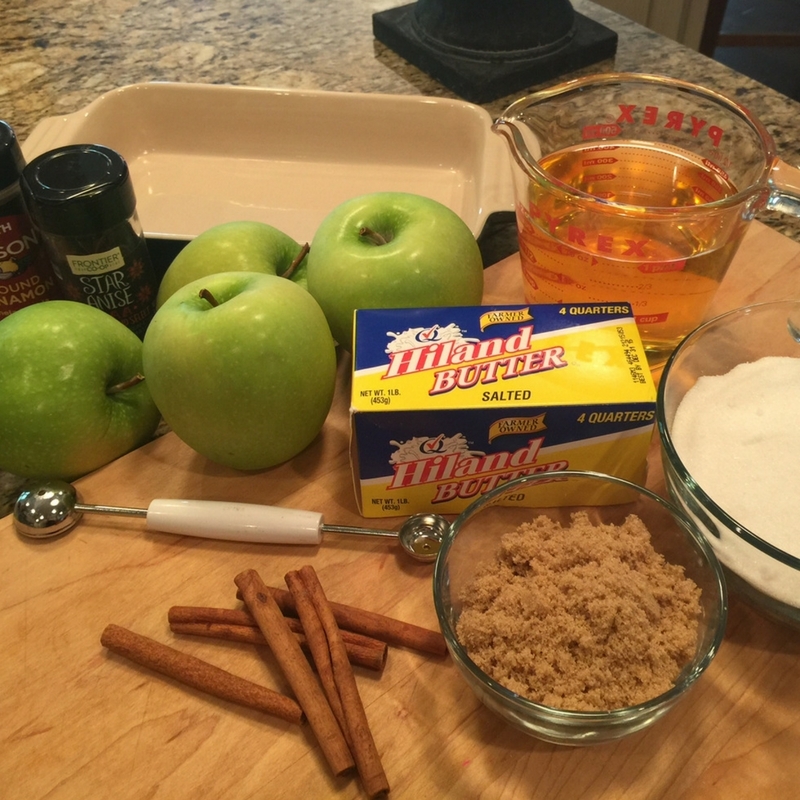 Baking with apples this time of year makes my heart smile. 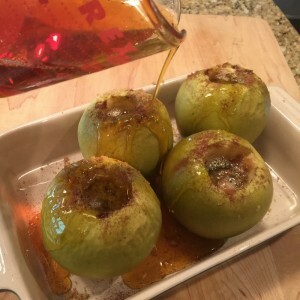 And, since today is Johnny Appleseed Day, I thought I would honor this great pioneer by making delicious baked apples drizzled with apple juice sauce. Yum! Preheat oven to 350°F. 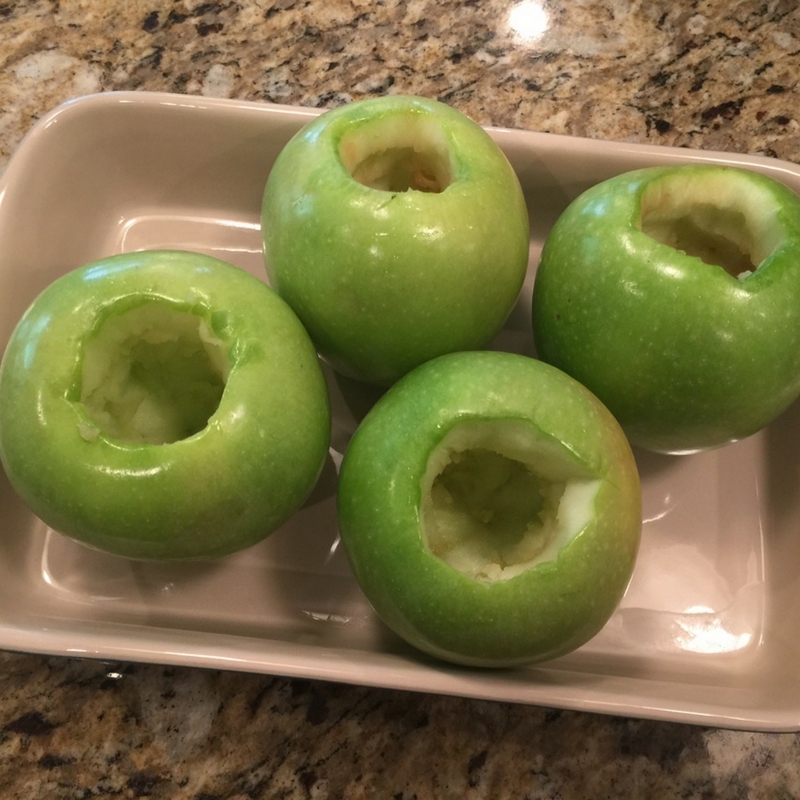 Scoop out the core from each apple and place them into a shallow baking dish. Stuff each apple with 1 tablespoon butter (cut into 4 squares) and 2 tablespoons of brown sugar, alternating ingredients as you fill each apple. Sprinkle stuffed apples with cinnamon. Bake for 20 minutes, then remove from oven. 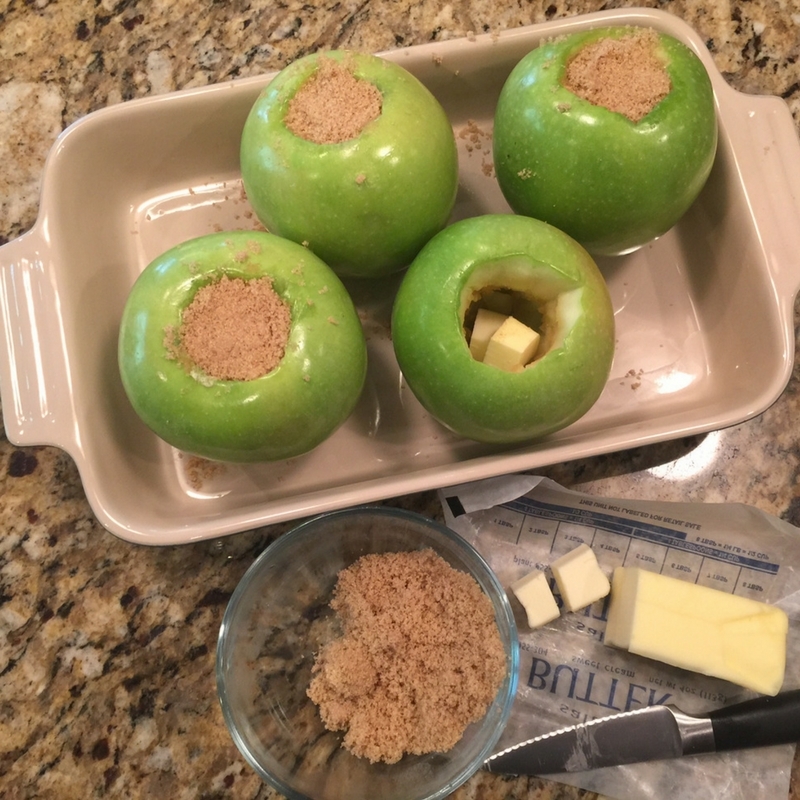 While the apples are baking, combine the water and sugar in a medium pot on high heat. Bring to a boil and cook until it turns into an amber-colored syrup. Remove from heat and slowly whisk in apple juice. 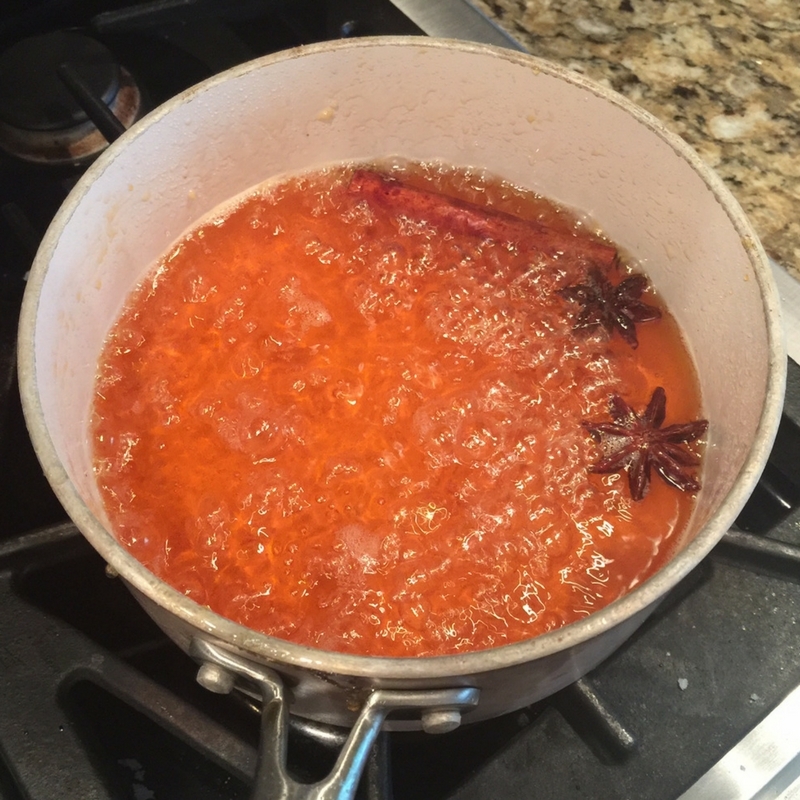 Add the cinnamon stick and anise pods. Return to heat and bring to a boil. 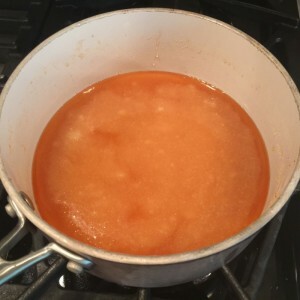 Reduce heat to medium and simmer until reduced to about 1 cup (about 20 minutes). 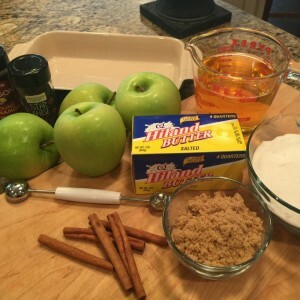 Remove the cinnamon stick and anise pods. 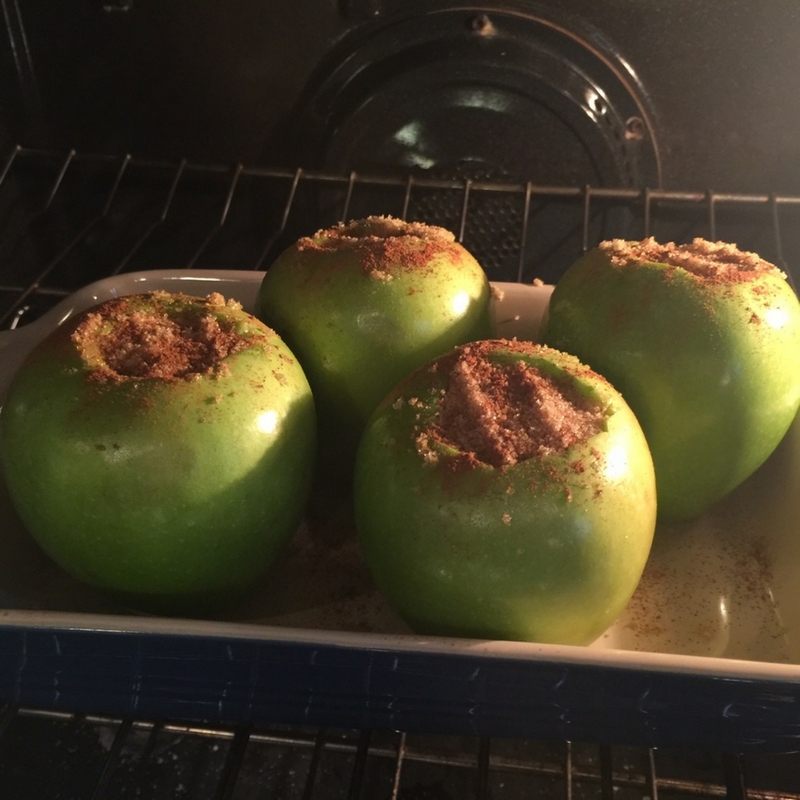 Drizzle sauce over the baked apples and enjoy! Hiland Dairy Vanilla Ice Cream is the perfect complement to these baked apples. 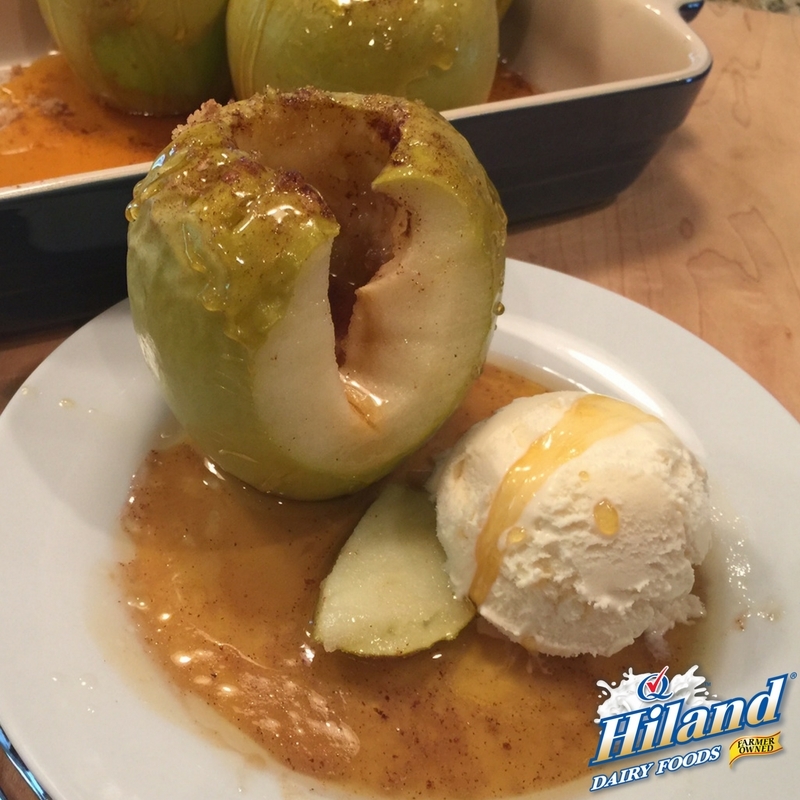 The apple juice sauce is also delicious over bananas and Hiland Dairy Vanilla Ice Cream!